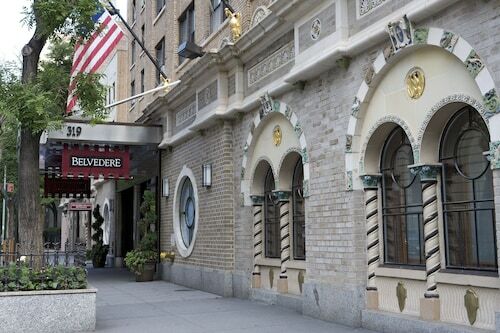 Situated in North Bergen, this hotel is within 6 mi (10 km) of Jacob K. Javits Convention Center, Madison Square Garden, and The High Line Park. Macy's and Bryant Park are also within 6 mi (10 km). North Bergen Tonnelle Avenue Station is 22 minutes by foot and Bergenline Avenue Station is 29 minutes. 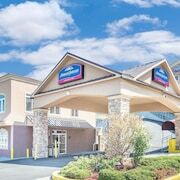 Situated in North Bergen's Jersey City - Meadowlands neighborhood, this motel is close to Weehawken Public Library, Izod Center, and Harmon Cove Outlet Center. Area attractions also include Meadowlands Hospital Medical Center and Stevens Institute of Technology. 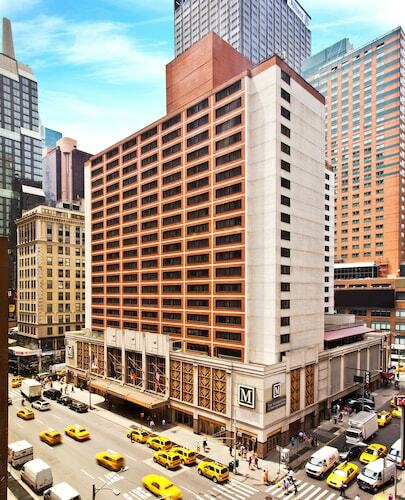 Minutes from the attractions of Manhattan , (Times Square), This hotel has easy access by public shuttles with a minimum fee to and from the city, 7 days a week. 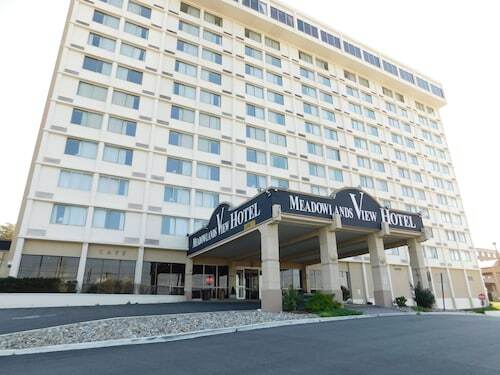 Located in the heart of North Bergen, this hotel is 2.6 mi (4.1 km) from Journal Square and within 6 mi (10 km) of Jacob K. Javits Convention Center and Madison Square Garden. Macy's and MetLife Stadium are also within 6 mi (10 km). How Much is a Hotel Room in North Bergen? 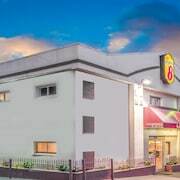 Hotels in North Bergen start at $85 per night. Prices and availability subject to change. Additional terms may apply. If you're on the lookout for great rooms in North Bergen, you will have no shortage of choices. With the assistance of Travelocity's resourceful database, the modern traveler can compare 756 inspiring places to stay within 6 miles (10 kilometers) of the center of town. 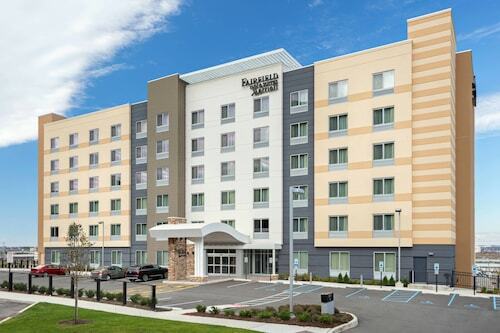 When you are seeking a room that is within a short walk from North Bergen's downtown precinct, Holiday Inn Secaucus Meadowlands and Embassy Suites Secaucus - Meadowlands will suit your needs. 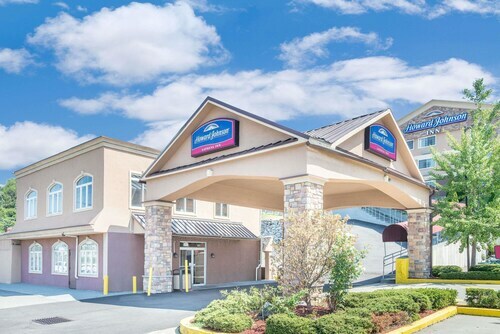 North Bergen features a limited range of economical lodgings; you will find the Howard Johnson North Bergen located 2 miles (4 kilometers) from the heart of town. 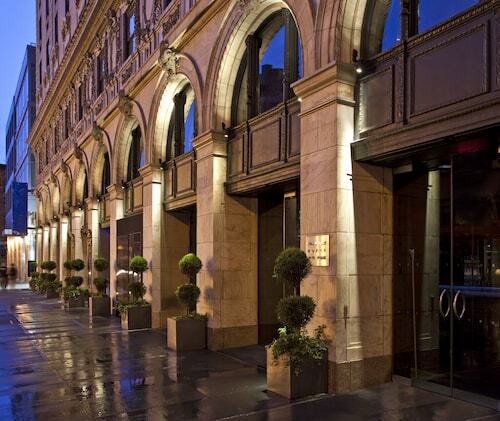 3 miles (6 kilometers) outside of the middle of North Bergen, you will come across the The St. Regis New York. 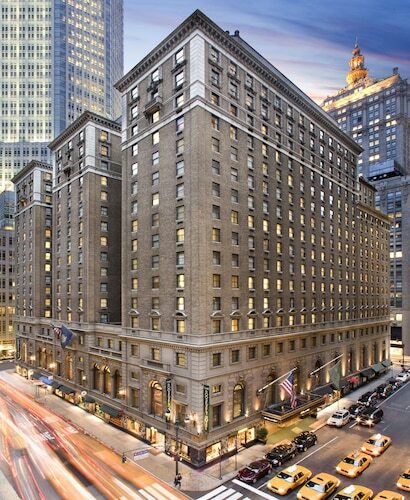 The Mandarin Oriental, New York can be found approximately 3 miles (5 kilometers) away. Alternatively, make a booking at the Trump International Hotel & Tower New York or the The Plaza Hotel. When you have the time to immerse yourself in the coastal plains and forests in this pocket of United States of America, you could plan extra time in other areas of North Jersey. 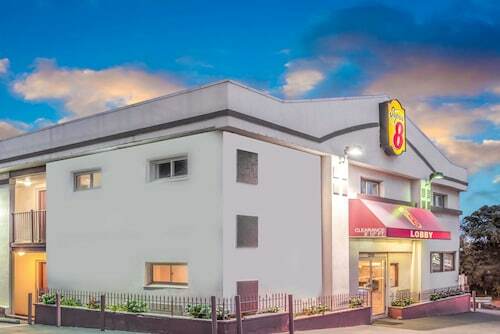 Whether you immerse yourself in common regional activities, like snowboarding and skiing, or simply zigzag across the area to photograph the many attractions, you will easily book the most suitable Travelocity-registered hotel establishments close to here. 2 miles (4 kilometers) from North Bergen, you will find Secaucus, where visitors can enjoy Mill Creek Mall and Riverbend Wetlands Preserve. 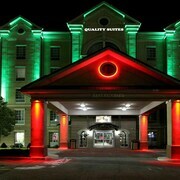 Next time you stay in Secaucus, check out the rooms at the W Hoboken and Sheraton Lincoln Harbor Hotel. 2 miles (3 kilometers) to the south of North Bergen, you'll also find Union City, which features the Trump Soho New York and The James New York. Regardless of whether you're passing through or spending a few nights in Union City, make sure you venture to the Hudson Presbyterian Church and Park Performing Arts Center. 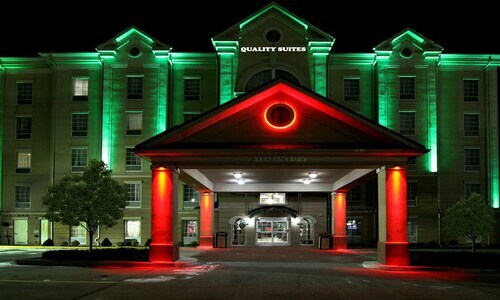 Situated 8 miles (13 kilometers) away from North Bergen's town center is LaGuardia Airport. 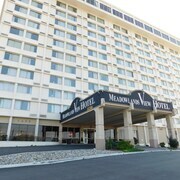 Base yourself nearby at Sheraton LaGuardia East Hotel or New York LaGuardia Airport Marriott. Glad I didn't take the reviews too seriously. Loved the proximity to Time Square. Great Retreat Next to Manhattan, Nyc!